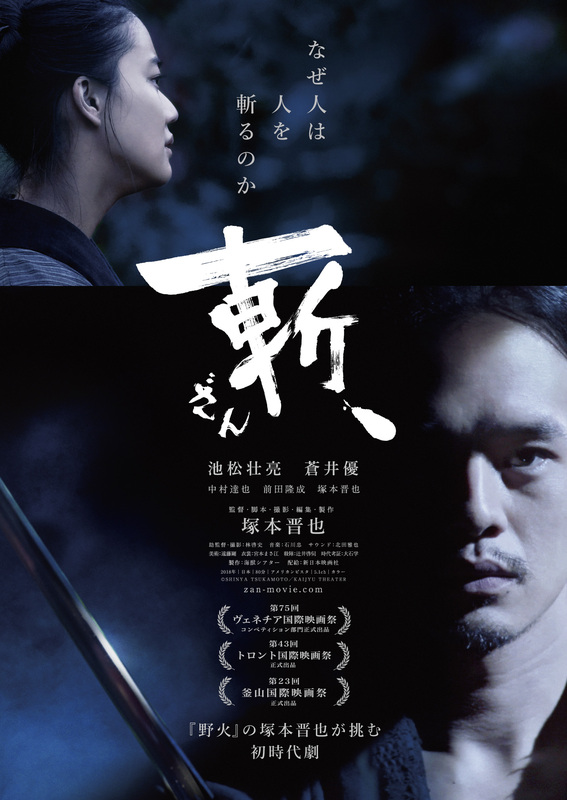 Set during the Edo period, "Zan" follows the life a ronin, Mokunoshin Tsuzuki (Sosuke Ikematsu), and those around him. Mokunoshin Tsuzuki spends time in a village helping farmers there. To keep his sword skills sharp, he spars daily with a farmer's son Ichisuke (Ryusei Maeda). His sister Yu (Yu Aoi) watches them. Meanwhile, the nation is about to undergo major unrest and potentially a civil war. A group of outlaw ronin led by Sezaemon Genda (Tatsuya Nakamura) enters the village. Movie screens in the competition section at the 75th Venice Film Festival (August 29-September 8, 2018). Hanna Aug 19 2018 8:04 pm This movie is playing next week at Tiff Toronto. Who wants to take me there?? LOL looks great! Mim Aug 01 2018 2:34 am WOW! Great director and cast! Good luck in Venice film festival!